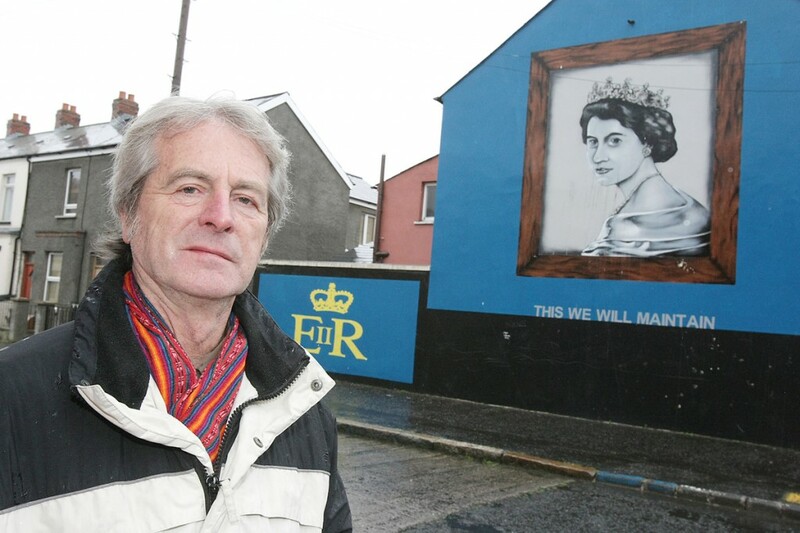 As murals here often reflect the culture and identity of a particular community, you would expect many from the loyalist side of the divide to show reflections of British royalty. However, a talk in South Belfast next week by a local professor will show that that is not the case and will attempt to explain why. Loyalist or Royalist? Identity in Unionist Murals will take place at the Ulster Museum this Friday. Tying in with the Stranmillis museum’s The Queen: Art and Image exhibition, it will explore the divergence in different interpretations of unionist identity. Ashley Avenue resident Bill, who has written several books on the subject of murals here, said the free talk has its roots in a popular misconception that was made by museum staff. “The museum have had an exhibition on for a couple of months about Queen Elizabeth, complete with photographs and pictures of her. I was asked would I do a bit about murals of her. “I answered that I would but it would be a very short talk as there are very few of them around. So instead I suggested doing something more widely on the representations of monarchy and ask the question ‘what are loyalists loyal to exactly’? Bill said the talk was an attempt to harness a long-standing facet of loyalism. “In a sense it’s not an original subject I’m covering. I’m looking at the conditionality of loyalists’ support of the monarchy and whether they are loyal to the crown, a concept or Britishness or what exactly? Bill, who is a professor of sociology at the University of Ulster, said there had been a sea change in what constituted a stereotypical loyalist mural over the years. “For 50 or 60 years, the fundamental loyalist mural was King Billy on a white horse at the Battle of the Boyne. Then for about 20 years up until the past five years or so it changed to a hooded gunman, either in action or posing. “But now there is no such thing as a stereotypical mural, which is both a positive and a negative. It can either be seen as part of the problem for loyalist communities or from a more positive angle, part of the ongoing debate into changes in communities. He said recent changes to loyalist murals were due to several reasons in different communities. “There were seven or eight of the queen which went up around the time of her golden jubilee in 2002 but most have since been replaced with the exception of one in Frenchpark Street in the Village. “A few went up of Diana as well in the Shankill while Johnny Adair was in power, which was mainly a bit of grabbing popular culture by him I think. Likewise recent changes in east Belfast turning a few murals back to UVF ones is a bit of sword rattling by them I’m led to believe. He said he hoped people would leave the event thinking about murals and their place within loyalist culture. “The point of murals on both sides is that they are about identity and all the things that go along with political identity – if people are confident in it, is it under threat, is it forward-looking, and at different times both sides have gone between all those possibilities. “My overall argument in the talk is that loyalist murals, indicative of loyalism as a whole, broadens divisions because they make distinctions. These murals for the last 20 years have been loyalist murals but before that they were unionist. So I’m asking how can you get back to them being unionist murals and what would they say? “Loyalist murals are basically advertisements for paramilitary groups but if we took it back to some notion of unionism instead, what would they say about subjects such as the queen, a united Ireland or the economic crisis.